great candidates looking for and why? 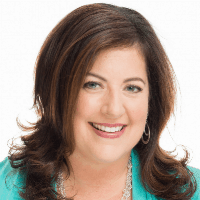 Amy Repke, brings twenty years of experience to Community Associations Institute (CAI), serving as the organization’s vice president of communications and marketing. 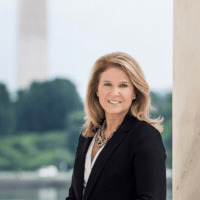 Amy’s communications career began in local television, where she worked at news outlets in Norfolk, Richmond, and Washington, D.C. She also served as a producer for USA Today Live and Fox News Channel’s Special Report. In 2013, Amy launched a communications and marketing firm, consulting with clients representing political, financial services, trade associations, and nonprofit organizations. Amy has been nominated for four Washington Regional Emmy awards for writing and producing. Amy is a graduate of Old Dominion University and received a master’s degree in Strategic Public Communications from American University. Heidi Parsont, CEO, TorchLight Hire, started her staffing firm, TorchLight Hire, in 2012 after more than 20 years of a highly successful career in marketing, sales and recruiting. TorchLight places stellar marketing, communications and creative professionals in contract and direct hire roles in the D.C. and Baltimore metro areas. 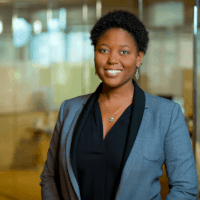 Jade Floyd is Vice President of Communications at The Case Foundation. She’s cultivated media coverage on behalf of executives and founders in hundreds of publications covering venture capital, business, philanthropy and finance – from CBS Sunday Morning to the Associated Press, Wall Street Journal, Fast Company, Entrepreneur and more. Jade has more than a decade of strategic communications experience at several leading D.C.-based public affairs firms where her clients have included the American Dental Association, Center for Wine Origins, Champagne Bureau, DuPont, U.S. Conference of Mayors (USCM) and many more where she has supported government relations and public affairs initiatives. Jade is a recipient of the Washington Business Journal’s 40 Under 40 and Huffington Post IGNITEGood Millennial Impact Challenge. Kristen Wesley, is the Director of Marketing and Communications for the Mathematical Association of America. She is a communications and marketing leader passionate about creating change through awareness.